We asked our Facebook community members as well as our newsletter readers to tell us which 90/10 recipes they love the most. They responded and there were some clear favorites. I’ve assembled the results below as the 90/10 Nutrition most popular recipes so far. The results were quite diverse but the clear winner was our Egg Roll In A Bowl recipe. Our healthy taco seasoning also got quite a few mentions along with Heidi’s “never fail” meatloaf. Cheeseburger wraps, pizza grilled cheese, and slow cooker chicken tacos were also on the list fairly often. With nearly 1000 recipes on the site, there are certainly many more popular recipes as well. 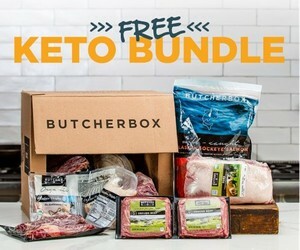 In fact, there are some recipes that get a lot of web traffic that aren’t mentioned here such as our air fryer jalapeno poppers, pork chops and sauerkraut, Instant Pot pork ramen, and keto supreme nachos. These recipes are a bit different than those high traffic recipes though. These are the recommendations and votes of people that regularly use 90/10 Nutrition recipes in their meal planning. These people have tried more than the average number of recipes from our website, and they’ve made these the 90/10 Nutrition most popular recipes. You can also find more of the recipes we’ve marked as 90/10 Nutrition most popular recipes in the past right here. Have other favorites? Let us know in the comments.